There are three airports near the Gold Coast: Brisbane International, Brisbane Domestic, and Gold Coast Airport. The Brisbane airports are understandably further from the Gold Coast than the last, with a 90 minute transfer by coach, but you will most likely land there if you are coming by aeroplane. Gold Coast airport is 100km south of Brisbane, near the border of Queensland and northern New South Wales, and 20km south of Surfers Paradise. Public transport on the Gold Coast is provided by the Translink network, extending from Gympie (north) to Noosa (Sunshine Coast), and Coolangatta (Gold Coast) and Helidon (west). 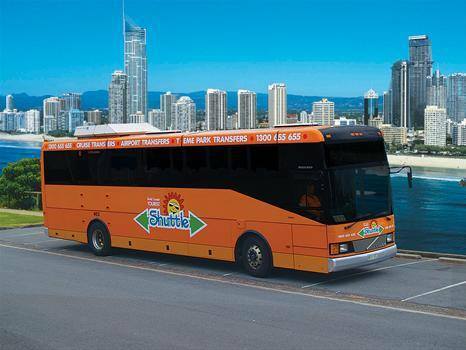 Surfside Buslines provides local bus services, from the Upper Coomera area (where Dreamworld is), to the Queensland/New South Wales border, as well as the Northern New South Wales region. Queensland Rail operates the train system on the Gold Coast. For maximum efficiency, you can purchase one of their rechargeable Go-Cards, a prepaid SeeQ card especially for tourists, or a one-day unlimited Go Explore card. These ensure that you will never need to worry about purchasing a ticket; as long as there is money on your card, you can just touch and go. Families with small children, and large groups would probably benefit more from renting a car. There are quite a few different companies that provide these services for affordable prices to help you get around. If you're looking to go out camping or exploring further outside the city, why not try renting a motorhome or campervan? Transfers and shuttles are the easiest ways for visitors to get around the Gold Coast from the airport and hotels, and around the inner city. They are designated services, so you don't have to worry about getting on the wrong one. Gold Coast Tourist Shuttle, Facebook. Gold Coast Tourist Shuttles take you from the airport to your hotel and back, door-to-door around to all the theme parks, and provides unlimited 24 hour travel on the local bus network for a single price. Simply choose the services you need, how long you'll need it for, and you'll get the ticket you need. No fuss, no stress. Trams on the Gold Coast run on the G:link network. 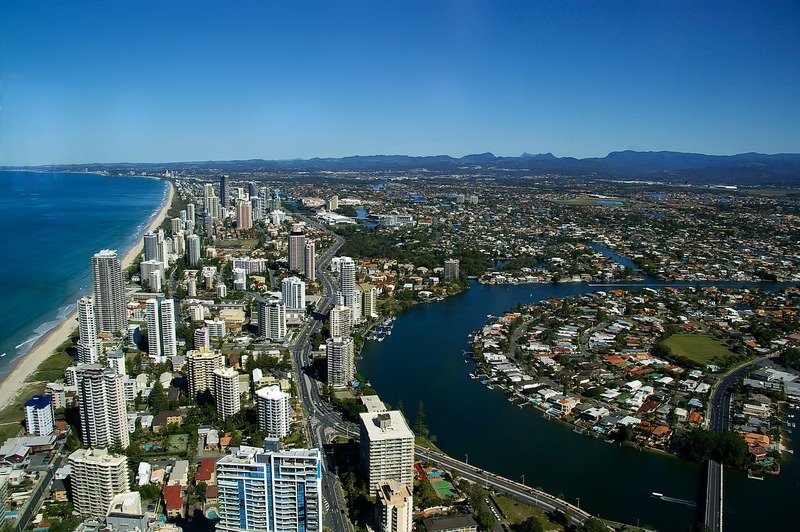 It connects Gold Coast University Hospital and Griffith University, to Surfers Paradise and Broadbeach. You can purchase tickets, or use any of the same travel cards you would use on regular Translink networks. Gold Coast Ferries operate in South East Queensland, and runs transfers through Gold Coast waterways and southern Moreton Bay. Tangalooma Island Resort also has various day cruises and water adventures, including dolphin encounters and whale watching, that takes you across Moreton Bay. You can also opt for boat hire, charters, or even a houseboat. For the more athletically-inclined, bike hire might be the way to go. Rent a bike and cycle along the beach; you can even get your bike delivered to you at the airport. If you and your family or friends love the great outdoors, this is the perfect way to get the full experience. How will you get around the Gold Coast? Super handy and informative article!